In their quest to generate an ethnic identity for themselves, the Normans celebrated their expansionist activities in a corpus of historiographic texts in which the multi-authored and chameleon-like Gesta Normannorum Ducum claims pride of place. This and other histories, both vernacular and Latin, were what Benoît de Sainte-Maure adapted into his secular poetic narrative. One of the motivations behind Benoît’s royal patronage could have been to tie the Anglo- Norman aristocracy of late twelfth-century England into a cultural homeland from which they were growing increasingly remote. 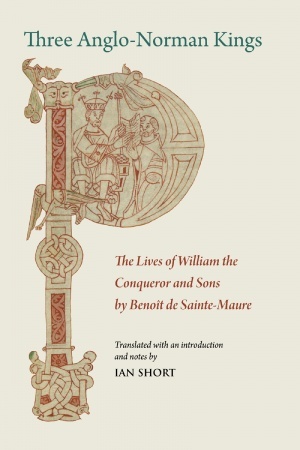 The sense of Norman history that Benoît imparts through his French verse was the one that Henry II and his Anglo-Norman contemporaries must have assimilated as part of their courtly entertainment.